We are engaged in offering a wide assortment of Dairy Fittings. These Dairy Fittings are fabricated by using premium quality raw material. 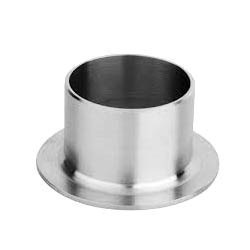 These Dairy Fittings are offered in different sizes and shapes as per different requirements. These Dairy Fittings find their applications in in various dairies, foods and beverages industries. Our esteemed clients can avail an exclusive range of Elbow Dairy fittings at cost effective prices. We use these products in dairy, food and beverage industries for various applications. Our products are highly demanded in various industrial applications. They are accurate in fitting due to perfect finish which shows our expert talent in providing them. We offer an exclusive array of Tee Dairy Fittings to our clients. They are made by usage of latest techniques which are resistant to heat and non toxic. These are used to change the direction of fluids. We offer these by usage of best quality material that is highly appreciated for durability, corrosion resistance and heavy duty application. Clients can avail these from us at economical prices. With the help of our expert professional we are manufacturing a high grade Reducing Tee Dairy Fittings by using top quality materials. They are widely used in dairy, food & beverage industries. Our ranges of products are available at affordable prices in the market. These products are highly acclaimed and appreciated among both the national and also in international market for its high durability. Stainless Steel in Grade: ASTM A 403 WP - TP 304, 304H, 304L, 304LN, 316, 316H, 316L, 316LN, 316Ti, 309, 310, 317L, 321, 347, 904L Etc. 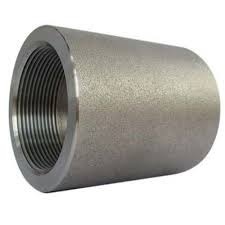 Our Coupling Dairy fittings is provided utilizing premium grade material and sophisticated technology. This precision-engineered range is high in performance, durability, and stringently tested to ensure optimum benefit of the end users. These are available in various sizes; these are used in dairy, food & beverage industries. They are tested on various aspects to provide defect free range to gain the trust of our clients. 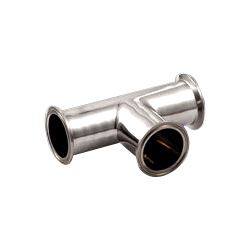 We offer a gamut range of LR Bend Dairy Fittings which is made from the best grade material which is sourced from reliable vendors in the market. Our range of these is offered at affordable prices to our esteemed clients. These products ensure that our complete range conforms to international quality standards and highly acknowledged for high performance and durability. We are well known and prominent manufacturer and exporter of this wide variety of this Stub End Dairy fittings for our clients. They are identified for their features like corrosion to resistance, highly efficient and durable. These are provided as per the specification mentioned by our clients. We use these products in dairy, food and beverage industries for various applications. These ranges of products are accessed at cost effective prices. We offer an exclusive range of Elbow 90 Degree Dairy Fitting, which is also known as 90 bends or 90 ells. Our clients can avail SR (short radius) elbows and LR (long radius) elbows from us as per their requirements. These elbows are made available in the market with a center-to-face dimension having 1.0 X diameter and 1.5 X diameter in LR elbows. 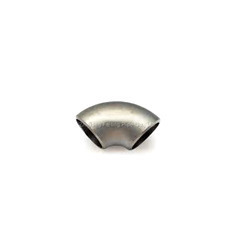 The elbows offered by us are commonly used in tight areas where clearance is needed. LR elbows are widely used where space is available and flow is more important. 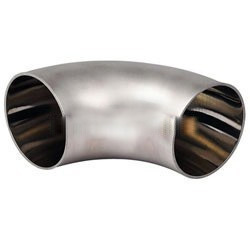 Also known as quarter bend, the elbows offered by us are extensively used to change piping's direction. 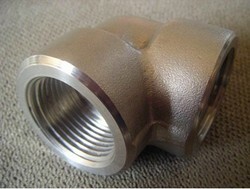 Elbow is bent 90-degree, which changes the direction of the flow of content in the pipe. 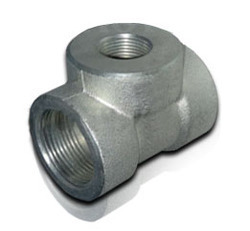 Moreover, elbows are used to connect hoses to valves, water pressure pumps and deck drains forged fittings. Looking for Dairy Fittings ?